NameSummit 2018 brings together experts in the field of digital branding, including Chelsea Hurley of Neustar, to share ideas and strategies useful to entrepreneurs and investors. 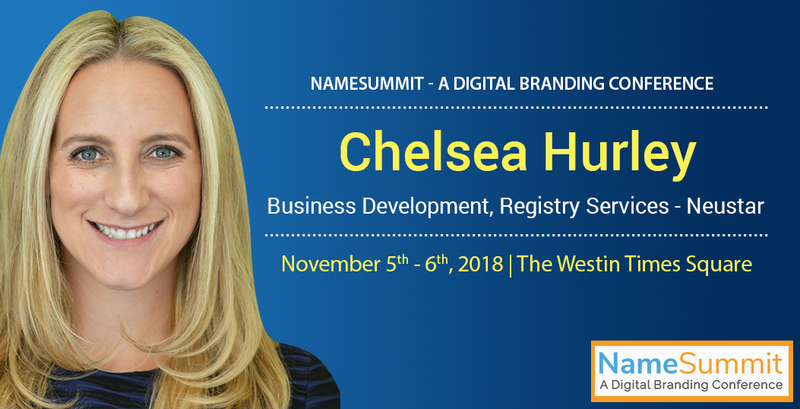 Chelsea Hurley brings her knowledge of business development and marketing to NameSummit 2018 being held at the Westin Times Square Hotel on Nov. 5 and 6. Ms. Hurley has more than a decade of experience launching and overseeing the growth of domain extensions. She is instrumental in taking the thoughts and ideas of her clients and turning them into the reality of top-level domains with global brands. Geo-targeted domains are the topic for a panel discussion on the first day of the summit. Ms. Hurley and other panel members will explain geo-targeted domains and the key role they play in developing high visibility and community engagement for all types of business ventures.